edit 1 : plz only post on this topic with applying with proof of gear, everyone but me and toriko have to apply for you to be looked at for raids. Tyler Here! Class is Ranger. DPS with Minor Support through Frost Spirit for 7.5% extra damage and Search and Rescue. Elite will likely be Rampage as One or Entangle depending on the situation though it can be Nature Spirit for AoE condi clenase and revive from downed if needed. Also traited for SaR when I start rezzing someone. Pets will be Electric Wyvern for Break Bars and either Tiger for PermaFury or Bristleback for tank. 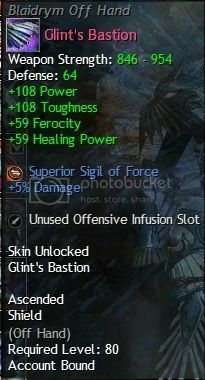 Ranger: https://gw2efficiency.com/c/Hunter%20Bakka (Currently a mix of clerics and zerk) Willing to do heal or DPS. 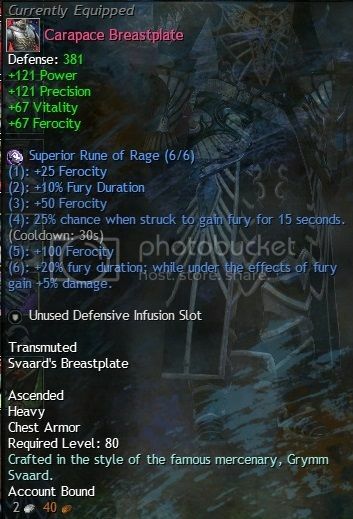 Ele: https://gw2efficiency.com/c/Emae%20Sengul (I'll be swapping her trinkets out for something more consistent, and this link will automagically reflect that. 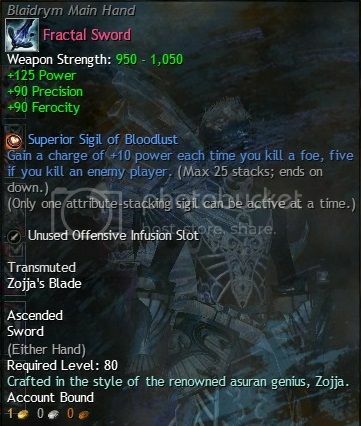 I should also have an ascended chest-piece in the next few days.....*Grumbles about time-gated ascended crafting*) Ele can be pretty versatile, so if I use her, just tell me where you need me. As i told you in chat, i have two pieces of ascended armor, which i hope will replace the backpack. Yuyuki Westtemple reporting for duty. EDIT: I have a Chronomancer, but recent experiences have soured me on him a bit; I think I'd prefer to play the Reaper. If we really need a Chronomancer, though, I can bring him into play. It seems we have a lot of DPS people here... I am still gathering materials for my ascended equipment. 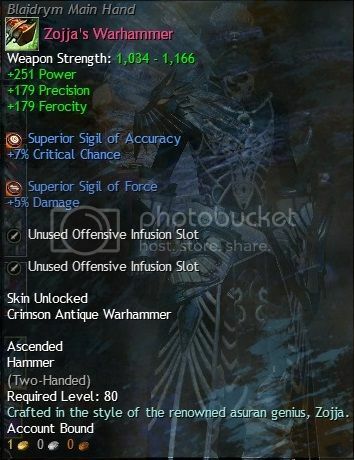 What are the other build can I contribute? I think I'll lean towards being a healer.... is Elementalist a good healer? Green Giller here. Running full celestial armor. Zerker's ascended trinkets. Have the legendary minstrel and two exotic weapons. I can do dps. If absolutely need be I can see about switching over to a condi build.